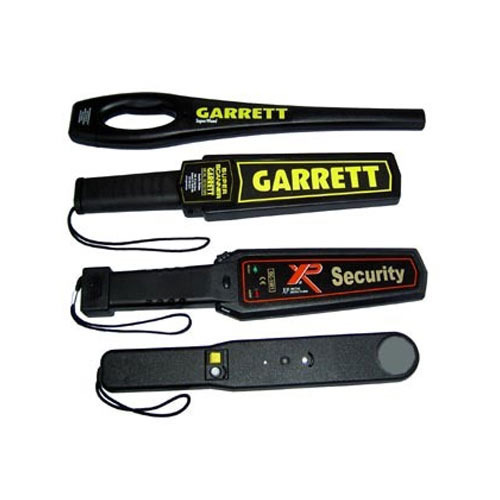 Our organization is one of the best in offering Hand Held Metal Detectors to our clients. These Hand Held Metal Detectors could be operated quite easily and are renowned for their excellent functionality and performance. These Hand Held Metal Detectors have inbuilt automatic mechanism and are tested for their quality and performance completely before delivering these to our clients. Capitalizing on our huge resources, Titan Security Solutions has emerged as the leading company for security systems in the industry. Since our commencement in 2005, we have gained reputation as the chief manufacturer, exporter, supplier and trader of a vast range of Security Cameras, Video Door Phones, Alarm Systems, Security Metal Detectors, Security Safes, Visitor Management Systems, Asset Tracking Systems, Canteen Management Systems, Parking Boom Barriers, Time Attendance Systems, Fire Suppression Systems and many more products that all have sub-ranges. Also we are offering Security System Installation Services. We believe in serving our clients with our best efforts and diligence, who have in turn, laid their invaluable trust and faith upon our brand since our establishment.